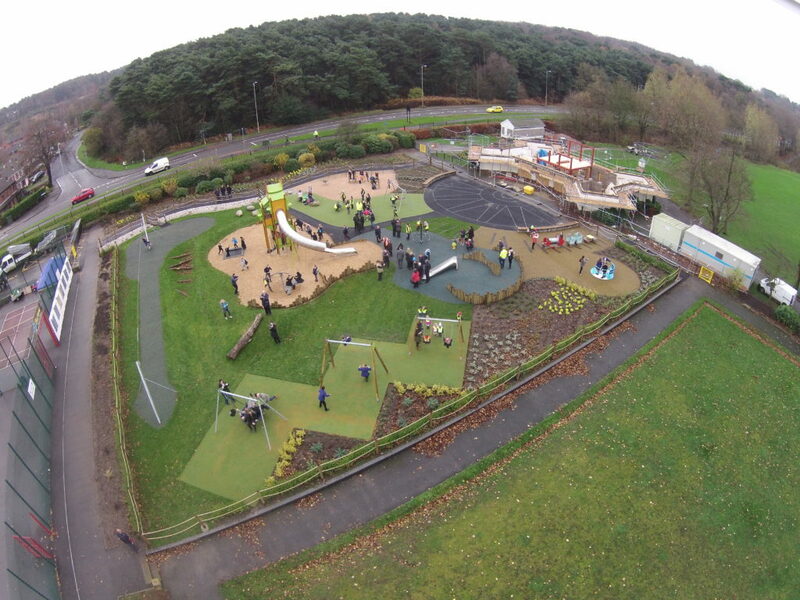 Can I have multiple surfacing solutions on one playground? 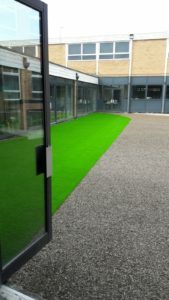 Often clients assume they have to choose one surfacing solution for their area – this is not always the case! 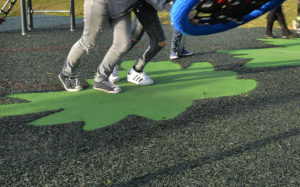 If you don’t want a uniform finish, PlaySmart are able to mix and match multiple surfacing solutions so you can enjoy the benefits of several products on site and the variety it can bring to a finished project. For example, wet pour inserts used with JungleMulch can offer defined shapes and more vibrant block colour against a textured background. Equally, lots of schools want to use artificial grass for low-level ball games, but don’t want to commit to maintaining a large area. Installing a suitable grass against a lower maintenance, non-slip solution like JungleMulch gives the benefits of both options in a smaller space. If you’d like advice on the best surfacing solution for your area, please feel free to get in touch! You can reach our experienced team directly on 01564 742 811. Have you seen our free guide? The guide has information on all the surfaces we offer! To get a copy all you need to do is click the image below.